Results of new research conducted, at the National Center for Cardiovascular Research in Madrid, Spain, were reported in the Journal of the American College of Cardiology dated January 2019. Above all, the research showed that the odds of accumulating fatty plaque in arteries increased by poor sleep quality along with chronic lack of sleep. In fact, the accumulation of fatty plaque is known as atherosclerosis and it increases the odds of a heart attack. Using coronary 3D heart ultrasound and cardiac CT scans, the team tracked the arteries of 3,974 Spanish adult bank employees. Also, these adults, of average age 46, did not have heart disease. In addition, two-thirds of the adults were men. As a matter of fact, the study found that, compared to adults who slept seven to eight hours a night, adults who slept less than six hours a night are 27 percent more likely to have body-wide atherosclerosis. Strangely enough, the study also found that women who slept more than eight hours a night had an increased risk of body-wide atherosclerosis. Furthermore, adults who woke up frequently or had difficulty falling asleep were also 34 percent more likely to have body-wide atherosclerosis when compared with adults who slept well. Strangely enough, adults who had six hours of good quality sleep fared better because the quality of their sleep was good. Incidentally good quality was defined by how often a person woke up during the night and the frequency of their movements during sleep. Above all, the study further shows the importance of getting seven to eight hours of good sleep for your cardiovascular health. On the other hand, the study shows the heavy price paid by poor sleep quality and chronic lack of sleep, on your cardiovascular health. Meanwhile, previous studies reported that heart disease risk factors such as glucose levels, blood pressure, inflammation, and obesity are increased by lack of sleep. 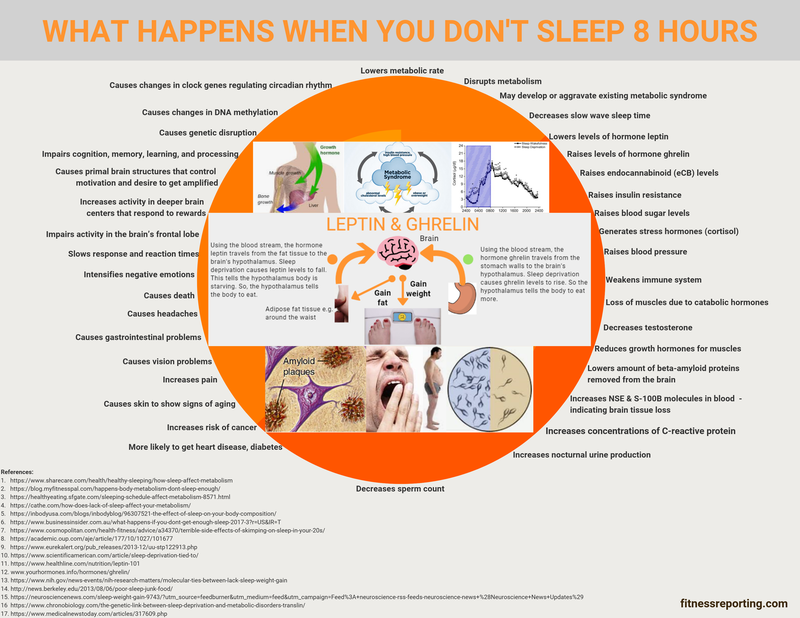 Finally, good sleeping habits also helps you avoid other problems with sleep deprivation (see infographic).